The Range Rover has long been the iconic luxury 4WD, but with new challengers from Mercedes Benz and BMW is it still the king of the hill? These are the words of Spencer Charles King, the brilliant (and anything but mad) Rover Car Company engineer who fathered the Range Rover. His brainchild was not only a success in its own right but it went on to have a profound effect on automotive design as we know it today. 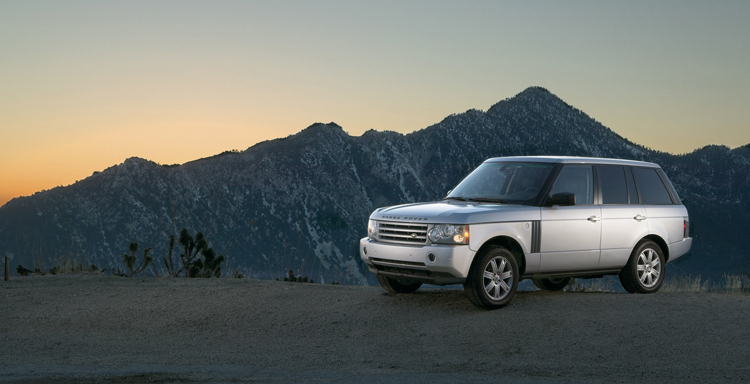 When the Range Rover made its debut in 1970, 4WDs were crude, utilitarian, and truck-like to drive. The Range Rover, on the other hand, was a sophisticated, comfortable, and possessed ride with handling that embarrassed many sedan cars of the day. Yet it was also capable of embarrassing traditional 4WDs in genuinely tough off-road conditions. That first Range Rover wasn’t however very luxurious; that would come with time as the Brit machine moved to distance itself from the influx of cheaper Japanese 4WDs. For many years the Range Rover remained the only real luxury 4WD, but in recent times both Mercedes Benz and BMW have attempted to cash in on the Range Rover’s monopoly at the pointy end of the luxury 4WD market. So how do these new German challengers compare to the established king of 4WDs? Mercedes’s approach is broad brush, with both short-wheelbase (M Class) and long-wheelbase (GL Class) models. The M Class is a five seater, but the GL has the option of seven seats. The other distinguishing feature of the two is that the GL comes with the full armoury of off-road equipment (low-range gearing, height-adjustable suspension, locking differentials, etc) as standard whereas that gear is optional on the M Class. The M Class also comes with the choice of two turbo-diesel V6 engines (both 3.0-litre, but different states of tune), a 3.5-litre petrol V6, and a 5.5-litre petrol V8. The GL has two engine options, the more powerful of the two 3.0-litre V6 turbo-diesels and the 5.5-litre petrol V8. BMW’s X5 also comes with a wide engine choice, a 3.0-litre turbo diesel, a 3.0-litre twin-turbo diesel, a 3.0-litre petrol straight six, and a 4.8-litre petrol V8. Suggesting that it has less to prove, the Range Rover comes with just two engine options, a 3.6-litre V8 turbo diesel and 4.2-litre supercharged petrol V8. For on-road driving however, it’s the BMW that comes out on top. The X5 is the sports car of the 4WD world and neither the Benz nor Range Rover can match the precision of its steering or the tightness of its handling. Nothing this big, or this heavy, should be so dynamically astute. Put simply, the X5, at least on road, defies the laws of physics. But venture off road and the X5 is quickly out of its depth. Without low-range gearing and supple long-travel suspension it’s not a real-deal 4WD. So scratch the Bavarian contender. Which is something that you can never say about the Range Rover. No matter what the conditions or the driving environment the timeless Brit conquers all without raising a sweat. Or putting a sweat on its driver. Put that down to a chassis that been engineered with equal emphasis on road driving as well as off-road driving. That’s something that you can’t say about the two German challengers, particularly the BMW. In terms of luxury 4WDs that can do it all, the king is still the king.